Sublimation is the process of turning from solid to vapor without going through the intermediate liquid phase. WHAT TYPE OF SOLID SUBLIMES? We all know that ice melts before it evaporates. 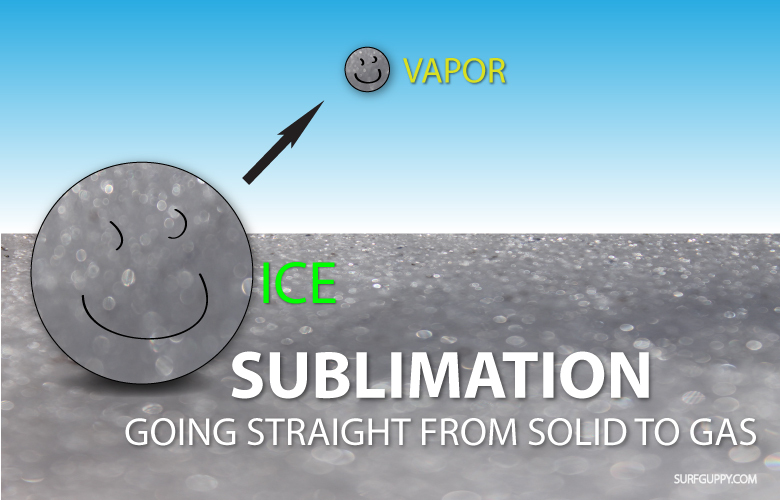 In sublimation, the liquid phased is omitted. In order to do that a solid must exhibit a higher than usual vapor pressure and weak intermolecular attractions. Read more about vapor pressure. Do you ever notice ice cubes shrink in he freezer if you leave them for a long time? Low temperatures lead to low humidity which in turn creates low pressure environment. So ice cube molecules in the freezer don’t have to work as hard to overcome the environment to escape. 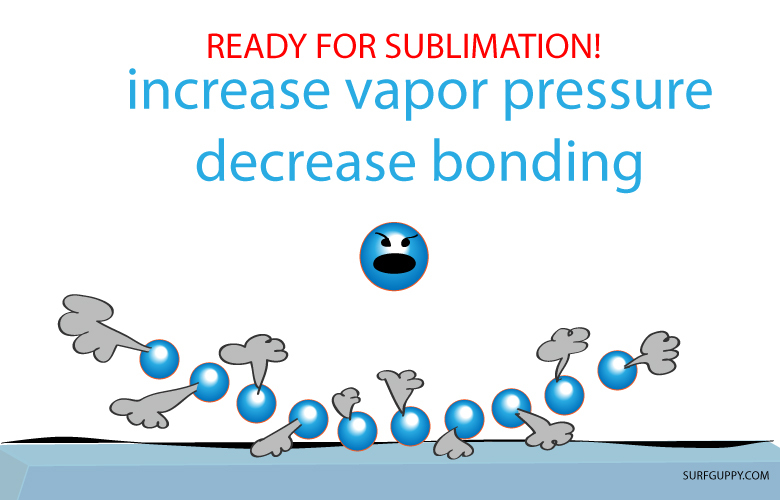 A solid Carbon Dioxide compound can sublime at 1 atm atmospherphic at 78.5°C (http://webapps.utsc.utoronto.ca/chemistryonline/sublimation.php).